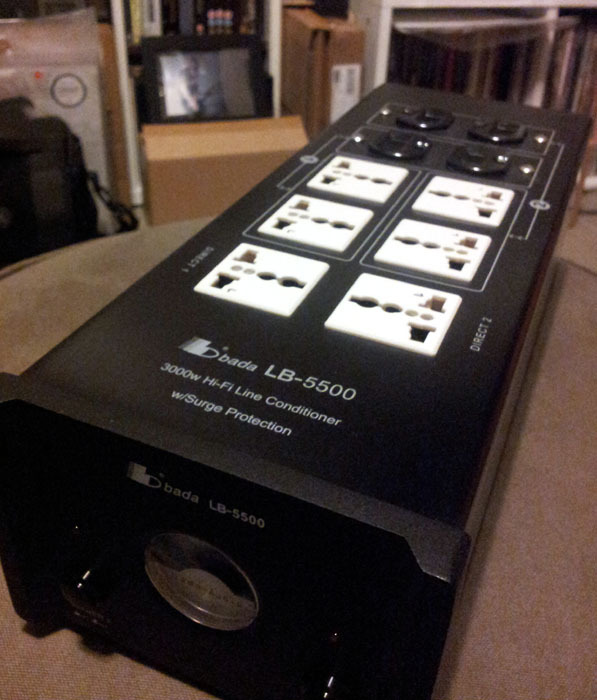 NEW Facelift -Bada LB-5500 Top Model HiFI/AV Power Plant, 1-1 Exchange Warr. 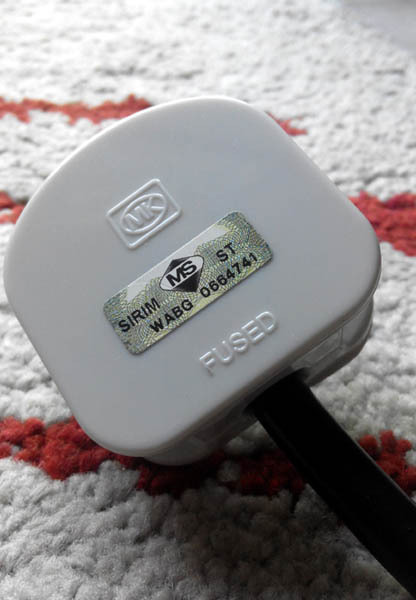 NOW with MK Plug Top! 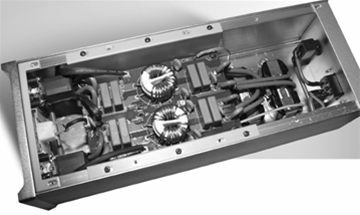 Bada has been in HiFi business for 25 years, delivering value for money products with absolutely no compromise in design & quality. Noisy background, vague soundstage and unclear positioning, etc are a few of the side effect of the interfered noisy AC line. A design of 2 way, 2 sets of individual independant filtering power supply, 2 On/Off switches for more practical and convenient operation. 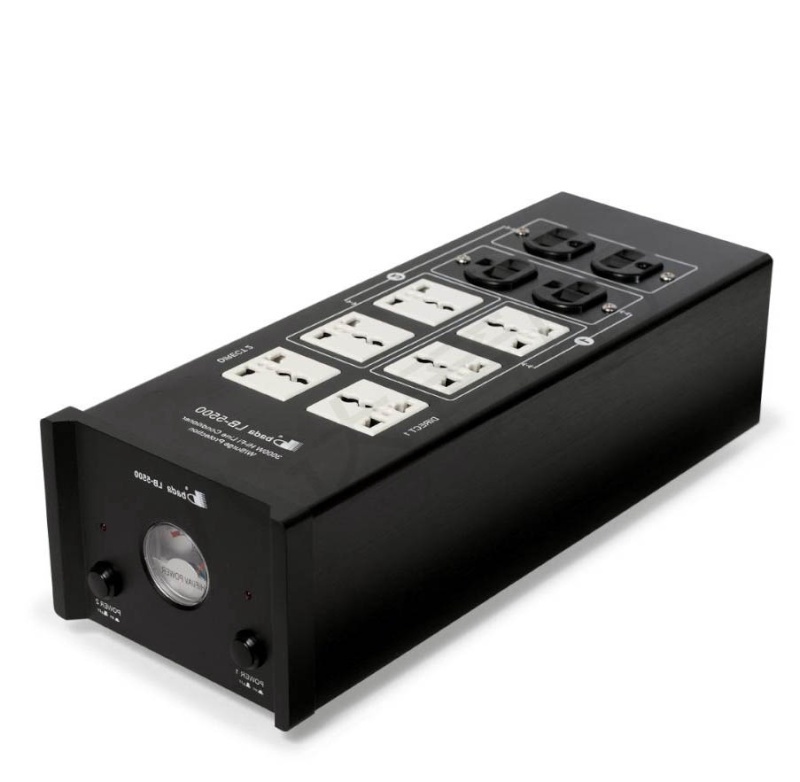 *Recommended 1 way for preamp, source, another way for power amp for maximum efficiency without interference. 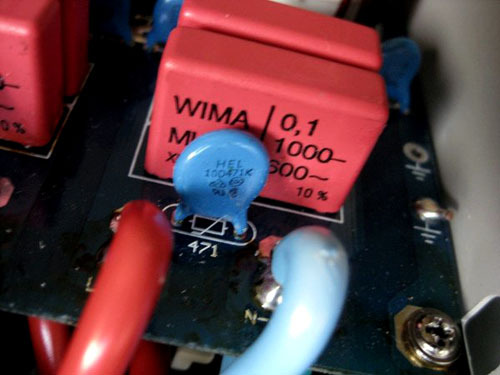 2 groups of toroidal filtering elements, 8 sets of Wima-MKP10 filtering capacitors. Won pro recepticles, 12 AWG high purity solid core copper for maximum transmission, speedy energy supply. 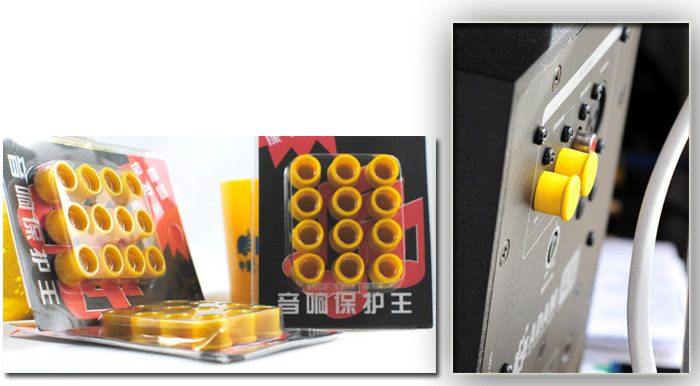 Features Professional grade Wonpro outlet socket, WIMA Caps for a guaranteed excellent result. - Power AC Purifying and Conditioning. - Power Surge / Lighting Surge protection. 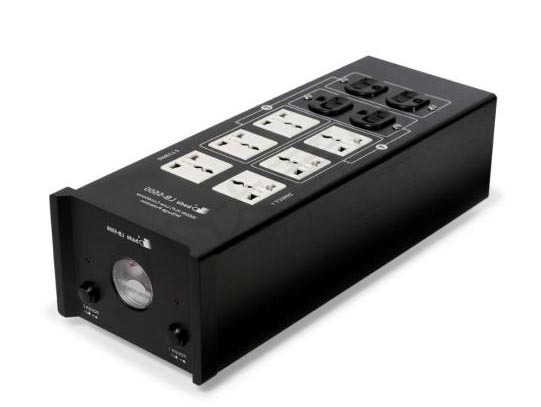 - A direct wall outlet shows 58.5 units of grid disturbance interference (AC noise). 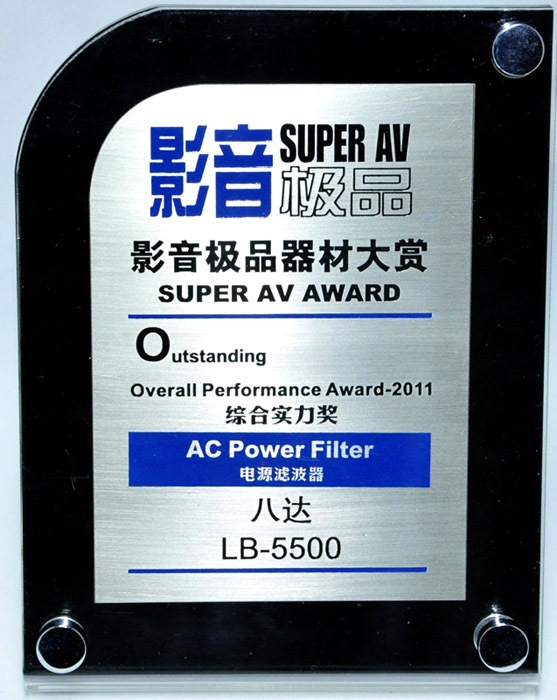 - With the LB-5500 put on, the noise tester shows a bare filtering residual value of 1 !! 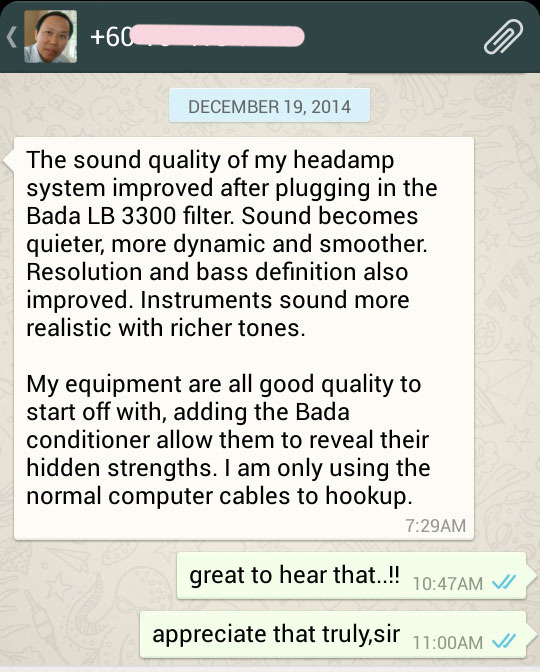 Re: NEW Facelift -Bada LB-5500 Top Model HiFI/AV Power Plant, 1-1 Exchange Warr. NOW with MK Plug Top! 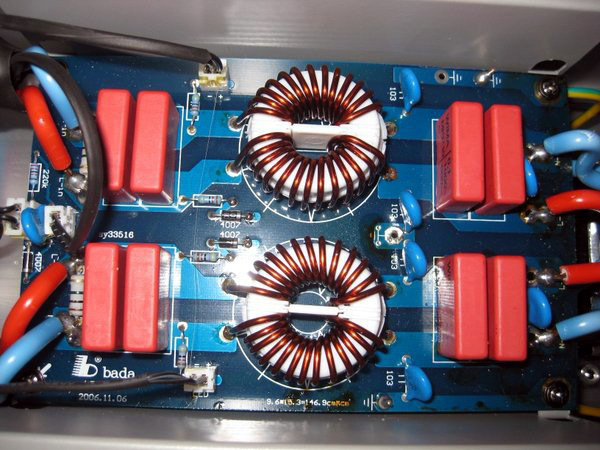 I believed that this Bada LB5500 should be a "reasonable" quality electrical conditioner so I recommended it to my brother-in-law to help improve his HiFi/AV system audio quality by reducing "electrical noise" coming from his electrical connections. Its also reasonably priced to fit into his purchasing budget too. My brother-in-law is new to HiFi and AV and his system comprised an Onkyo AVR amplifier, a Hegel H70 Integrated Amplifier, a Dared Tube Amp, Monitor Audio Bronze BR6 and Mission MX5 floorstanders. 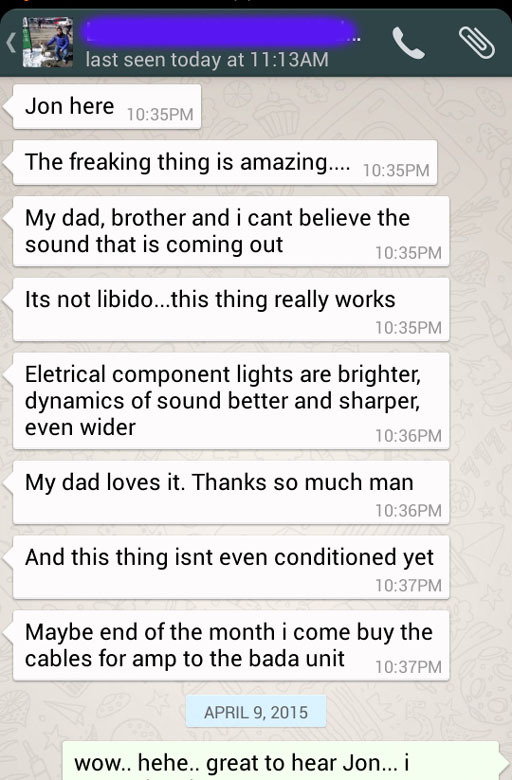 After he bought it, what happened after about a week of run-in... was his response which caught me by surprise when I asked him whether it helped to improve his audio in any way. He told me that on the very first day of use, he noticed that the sound from his speakers had a bit more "punch and power" as though his amplifier have increased in volume... that was his initial reaction. And after a week, not only the punch improved further, the overall sound is more quiet and musical instruments can be heard in slightly more detail, and vocals have a slighter better and warmer representation. 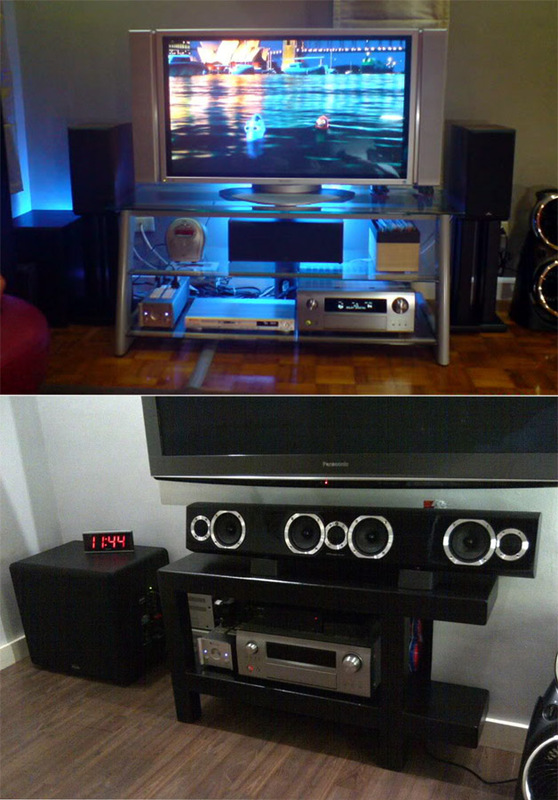 It may sound a bit over exaggerated by my bro-in-law in his explanation to me since his listening ability have not yet reached those people with experienced audiophile ears... however what matters to me is that he is very satisfied with this Bada LB500 as he believed that it DID help to improve his system overall audio quality. 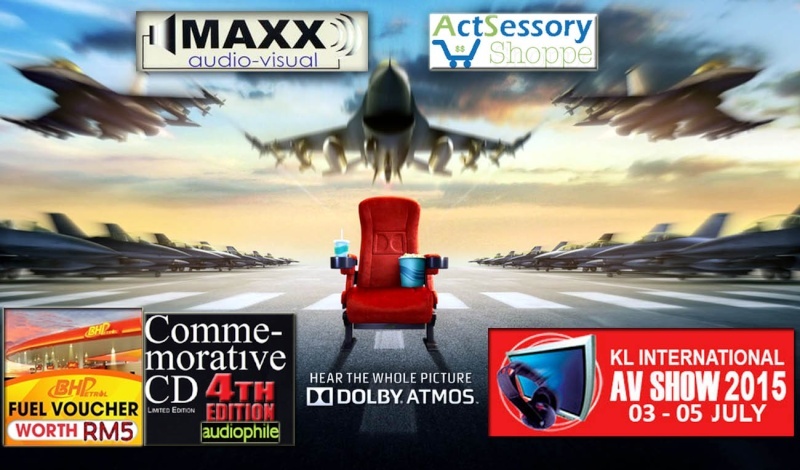 I do agree with my bro-in-law conclusions when I visited him to have a listening session... what was more noticeable to me was that complex music such as those from philharmonic orchestra sounded less noisy and individual musical instruments location can be felt. Well... the Bada LB500 did somehow helped to improve the audio quality. Whatever I mentioned here is only my unprofessional opinions which is debatable as each person have different hearing perceptions and opinions. 1) Personally listening to actual auditions to decide with your own ears. 2) To have a Power Conditoner and Filter is of course much better than NOT having one... if already have a very good conditioner, adding more to the same location may not give any significant improvement or may give zero improvement. 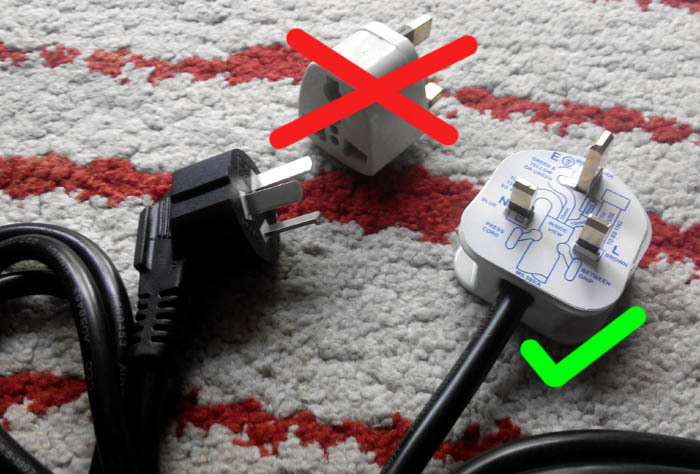 3) Power Conditioners and Filters is ONLY part of the whole story... because Current Stabilisers and Isolaters is ALSO equally important... such as a very good HIFI AVR/UPS (Automatic Voltage Regulators/Uninterruptible Power Supply. 4) Obviously... and of course, how much can you afford to pay? 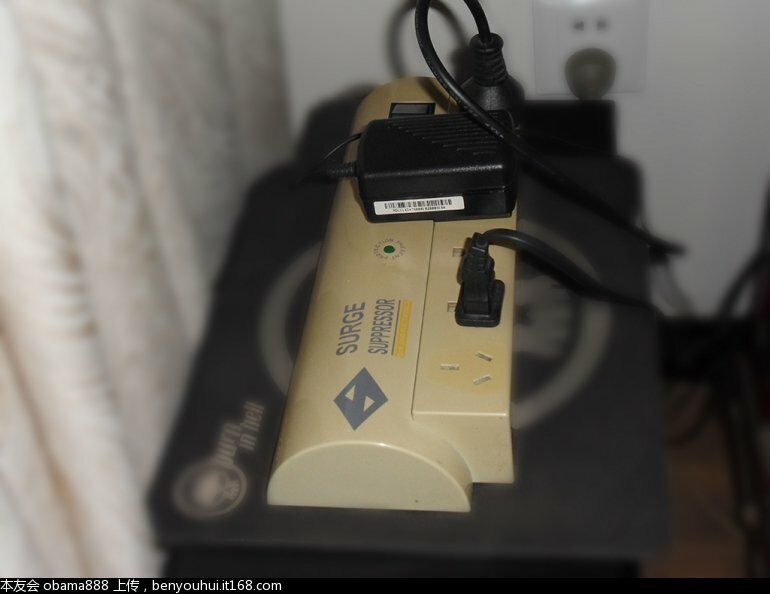 LB5500 spotted.. before and after system change..
"Many are skeptical about the importance of power conditioning, but I am an advocate for cleaner power to the electronics." "Bada is a brand from China, present in its home market since the second half of the '80s, and recently imported (somehow ...) in Italy. 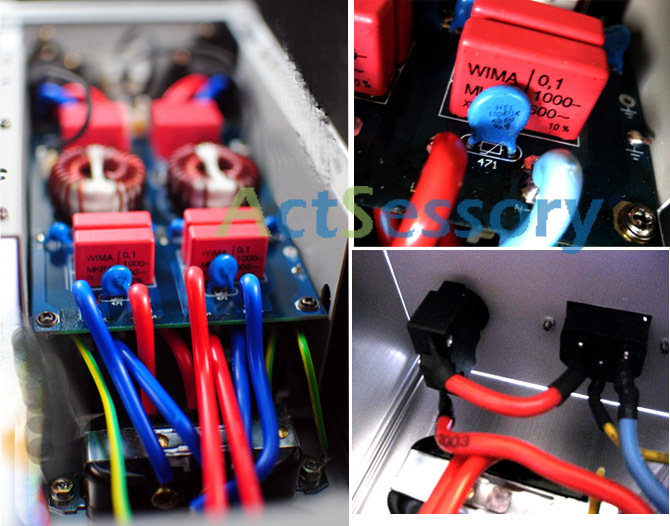 The capacitors belong to the series of red Wima, while the wiring is made with a great industrial cable 500V section of 2.5 sqmm. The real THICK gauge cable in Bada.. that you cant bend it whatsoever with bare hand. New stock reaching another few more days.. stay tuned! 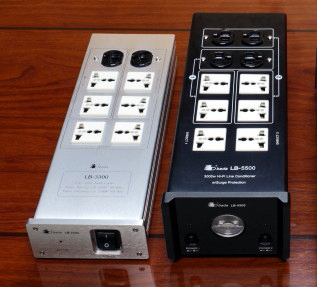 Feedback for the small brother LB3300.. the same protection circuit design of the bigger professional LB5500, except for the dual power controls and input voltage meter. The red wima's in LB5500.. I have 1 year old Bada LB3300, is it possible to trade in for LB5500? Why dont upgrade to the solid built Power Plant that has lightning/power surge protection, power conditioning and Pure Clean power output to your precious equipment protection and for outstanding performance? - Dimension: 6" x 6" x 14"
Both LB3300, LB5500 in stock. Welcome for demo and test. 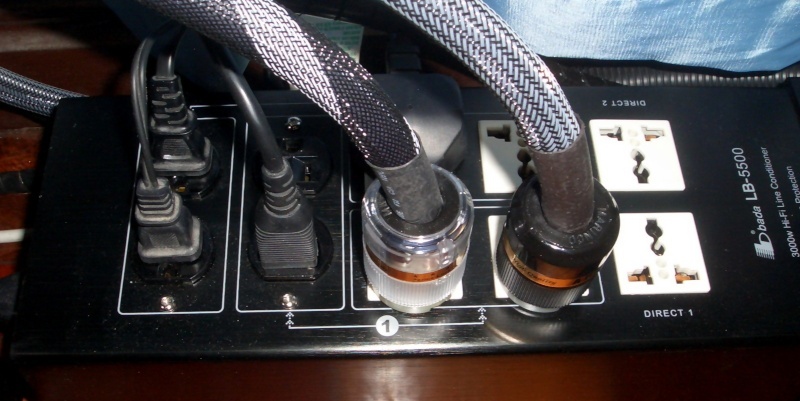 Feel the difference with a power conditioner that outputs pure clean current. Your equipment performs at their best with noisy free current. 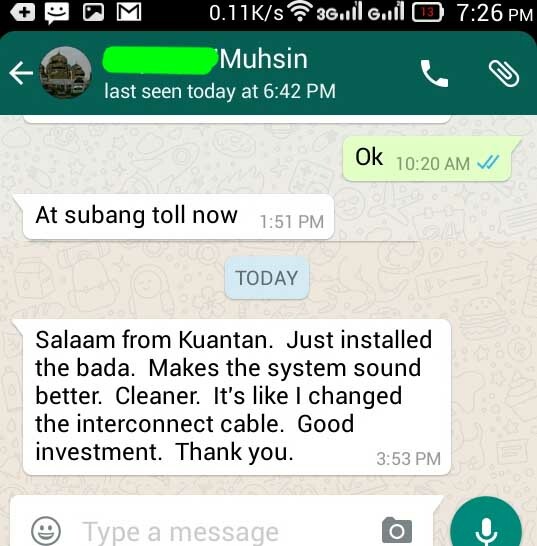 Thanks Muhsin for the support, all the way..
Just bought a unit of Bada from Chong. Pair it with US plug, and US cable. At first, i thought it didnt solve my buzzing sound from my speaker. so much detail has come out. Next, to some pop song, Symphony. Both song i tested on my headphone too. My headphone can produce even more detail! Wow.... so clean and better dynamic. ok next song... Miles Davis So What. ok i tested this song with lots of headphone. The best part is the Crymbal, no matter what every single detail the trumpet, the bass u can hear it clearly. munak991 wrote: Just bought a unit of Bada from Chong. That's great to hear when it solves the buzzing you mentioned and improves the sonic quality! Black and silver color available. Hi ... I am wondering if you have stock for the Bada 5500 unit. If so how much is 1 unit? Thank you.